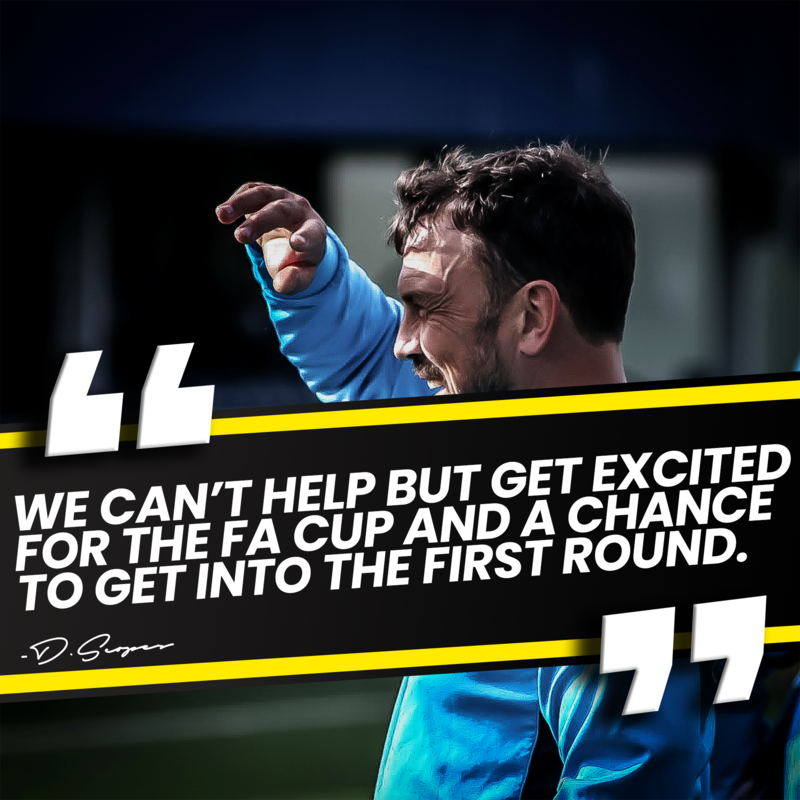 This Saturday the Beachboys host National league side, Dover Athletic in the Emirates FA cup 4th qualifying round. The winner of the match will progress into the first round of the cup where football league clubs join the mix including giants such as Sunderland, Bradford and Portsmouth all of which are likely to be on the top wish list for others. Dover Athletic have had a somewhat poor start to the start of their national league campaign, the Kent side currently sit deep in relegation at a dismal 23rd place just 1 point above bottom side, Braintree Town. The ‘Whites’ have however had some optimism to live by in the last 9 days following the appointment of Former Watford player and ex Gillingham and Leyton Orient manger, Andrew Hessenthaler as first team manager. The first 9 days have been positive aswell for Dover, the club recently announced they’ll be turning full time and signed both Joshua Debayo from Cheltenham Town on loan and Stuart Smith from fellow national league side, Maidstone United. Andy Hessenthaler took charge of his first game on Saturday and came out with a point away from title chasing, Harrogate Town! 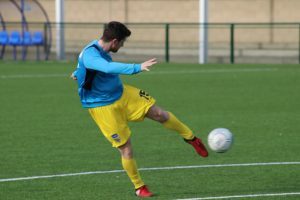 Elsewhere back home in Canvey Island, manager Sammy Moore is confident the Beachboys can cause an upset over the visitors after speaking to BBC Essex. Both manager, Sammy Moore and Assistant Player- Manager, Jack Midson oversaw Leatherhead’s impressive cup run last season beating the likes of Margate and Billericay on the way only to fall short to league 2 side, Wycombe Wanderers on the big screen. Midson & Moore have fruitful memories of their FA Cup matches as players, Sammy took part in AFC Wimbledon’s narrow defeat at home to Liverpool in the FA Cup live on television while Midson also was named the top scorer in the FA Cup last season with Bostik Premier side, Leatherhead. 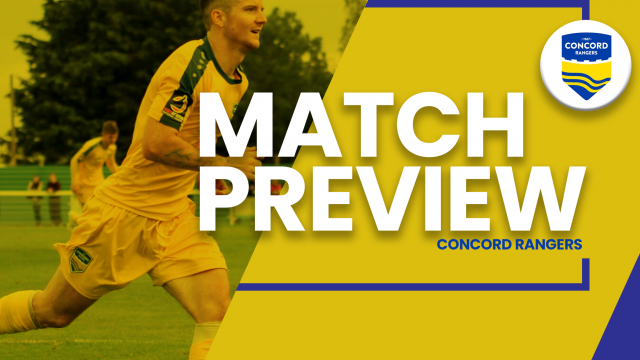 Going into Saturday’s match we caught up with both Sammy Knott and Danny Scopes to see what they have to say ahead of the game. 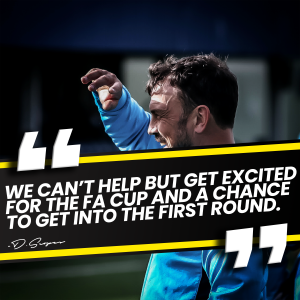 Firstly, Danny how important is Saturday’s game for the club? And Sammy, growing up knowing Concord, what does Saturdays game mean for both yourself and Billy? Sammy, what’s the atmosphere like with the lads like ahead of Saturday? Thanks for answering the questions Sammy & Danny. For away fans making the journey tomorrow afternoon, we have one main car park but we expect this to fill up rather quickly. You will see parking spots around Canvey Island which will be in walking distance of the club, please be respectful of our community when it comes to parking and littering. Programmes will be available on the gate, another excellent read all put together by Alan Peacock, purchase yours for just £2. We are expecting a good crowd so come down early to avoid any ques on the turnstiles. Once again we’ll have LIVE twitter coverage of the game, our match report/ highlights and interviews will be posted over the following days. Should the game finish all square after 90 minutes it’s likely that the replay will be held on Tuesday night away to Dover Athletic, we’ll post online if this is the outcome.